Purchase any 2 PANDORA Rings and you will receive your third ring FREE! Free ring must be of equal or lesser value. * While supplies last at participating retailers. No substitutions. Ring selection may vary be store. Excludes gift card purchases. This Free Ring promotion is available online! If you prefer, you may still call in or pre-select your order for one of our staff to contact you. You can place your order online and still participate in the FREE RING promotion! 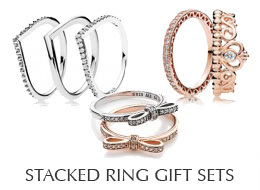 Simply select the rings you wish to purchase and the cost of the third will be deducted from your total at checkout! Add as many as you like, why limit yourself to only 3? Please be available with your FREE ring preference and payment information to finalize your order. Your order must be finalized with a PANDORA Specialists DURING the event to be complete and valid.